How about some Paper Smooches goodies to start off the weekend? 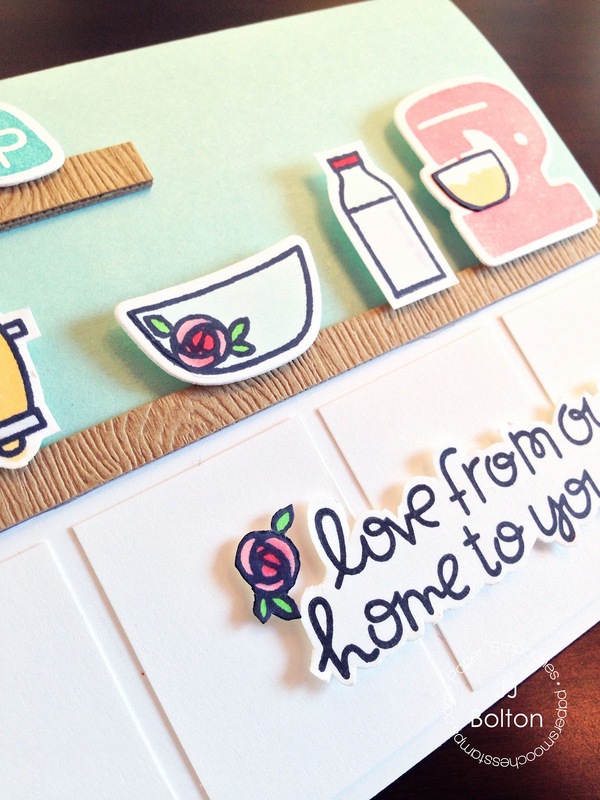 (Yes, I'm starting it now;) This first card is made with the new Kitschy Kitchen stamps and Kitchen Icon dies. One of the things I love about Paper Smooches stamps is how they can all be mixed and matched to create fun and unique designs! 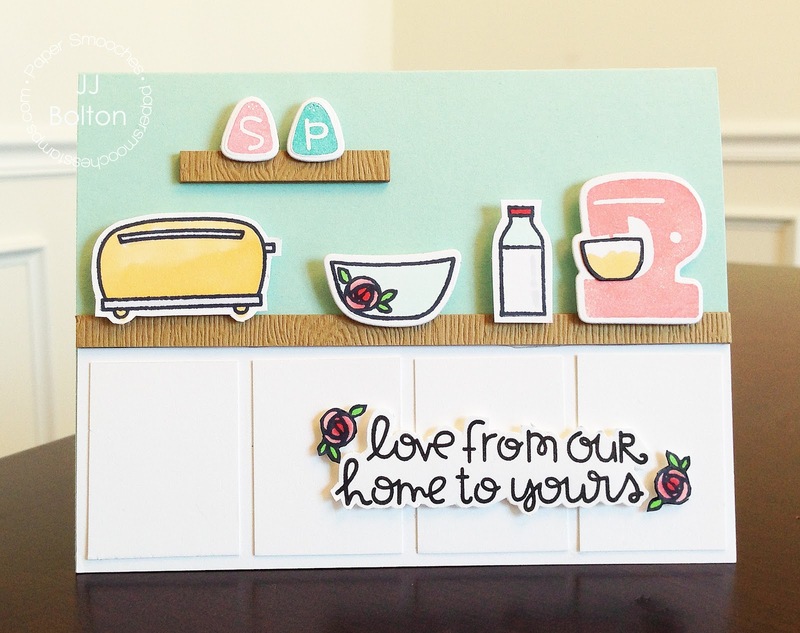 For this card, I combined elements of Kitschy Kitchen with a toaster from Wake Up and a milk bottle from Nine Lives to make a fun little kitchen scene. To prettify (that's a word, right?) my sentiment, I cut out some of the little roses from the vintage bowl stamp. That rose is so dang cute! The last card I have to share also uses the Desert Icons set but this time I used the cactus die. I heart this card big time! I inked the background to make what I think of as a southwestern sunset:) I love using hot pink for sunsets (for those playing along, I used Mustard Seed, Spiced Marmalade, Festive Berries, Picked Raspberry, Faded Jeans, Chipped Sapphire, and Black Soot Distress Inks). To get a starry sky, I used a paintbrush to flick water along the top edge. I love what plain water does to the blended ink! After background dried, I die cut my cactus and the hilly background (with my Borders 1 die). I put it all over a black card base. For me, making this card was pure bliss! I hope you go check out all the Paper Smooches goodies and have your own fun with these great products! Have an awesome weekend! 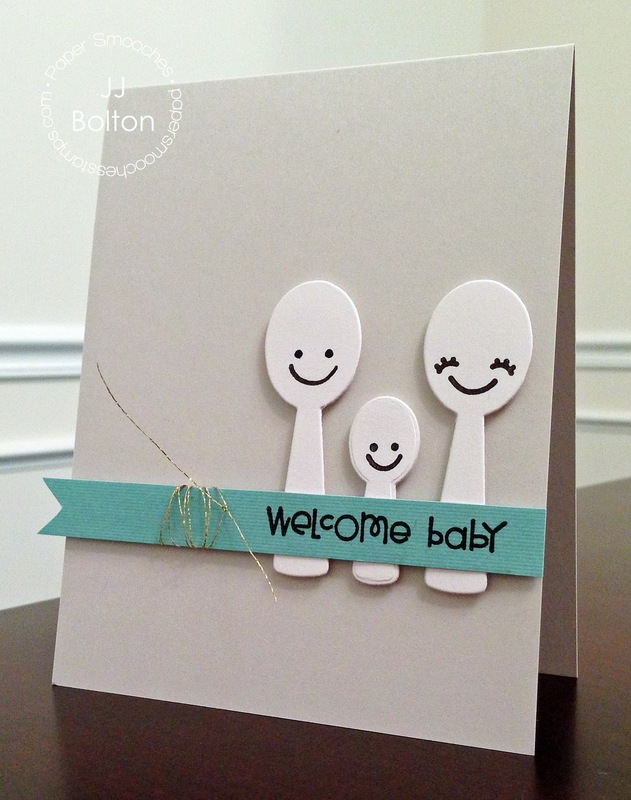 wow I just love these cards...that baby card with the spoons...genius! These are all sooo SWEET!!! LOVE! Love these! That first card is such a sweet scene, I love the paneling on the counters, but the baby card is my favorite, so cute, perfect expressions! Wow. 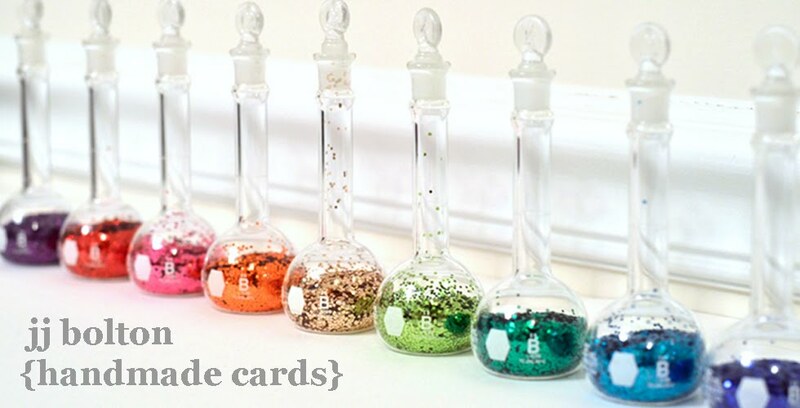 These cards are absolutely brilliant!! Thanks for the inspiration!! All of these are so awesome JJ! A parade of gorgeous and fun cards, JJ! I love all of your clever designs, and your inking/coloring is amazing! You have showcased these stamps and dies so well, that you've actually encouraged me to go shopping...Yikes!!! the spoons card is sooo cute! Love your cards!! So fun!